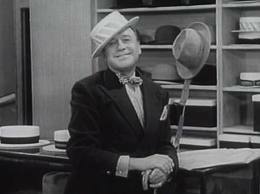 Everyone knows about the comedic talents of Jack Benny. His radio and television show made audiences laugh from the 1930s to his death in 1974. Benny had great timing and skill with any entertaining he did, so it was natural that he would try his hand at acting in movies. Like many radio comedians of the day, Hollywood did not know what to do with Jack Benny at first. While Benny never became another Spencer Tracy or Cary Grant, his contribution to film should not be overlooked though. One of Benny's first roles was in the Academy Award-winning The Hollywood Revue of 1929. The early talkie film basically had Benny as the master of ceremonies. His talent was definitely wasted in the film, and MGM did not quite know what to do with the up and coming comedian. MGM wouldcast him in a different role as the bad guy agent and the benign nemesis for Eleanor Powell and Robert Taylor in Broadway Melody of 1936. However, Benny's movies in the 1930s did not use him effectively. The 1940s saw Benny making some excellent contributions to film. In 1942, Benny starred in one of his greatest movies To Be Or Not To Be, which was directed by the great Ernest Lubitsch. The movie was about a troupe of actors in Nazi-occupied Warsaw who use their abilities at disguise and acting to fool the occupying troops. 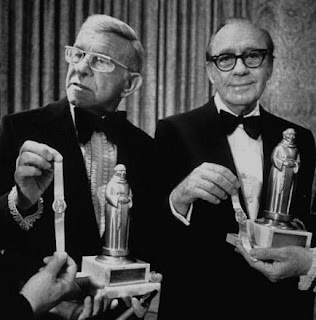 Lubitsch had never considered anyone other than Jack Benny for the lead role in the film. He had even written the character with Benny in mind. Benny, thrilled that a director of Lubitsch's caliber had been thinking of him while writing it, accepted the role immediately. For Benny's costar, the studio and Lubitsch decided on Miriam Hopkins, whose career had been faltering in recent years. 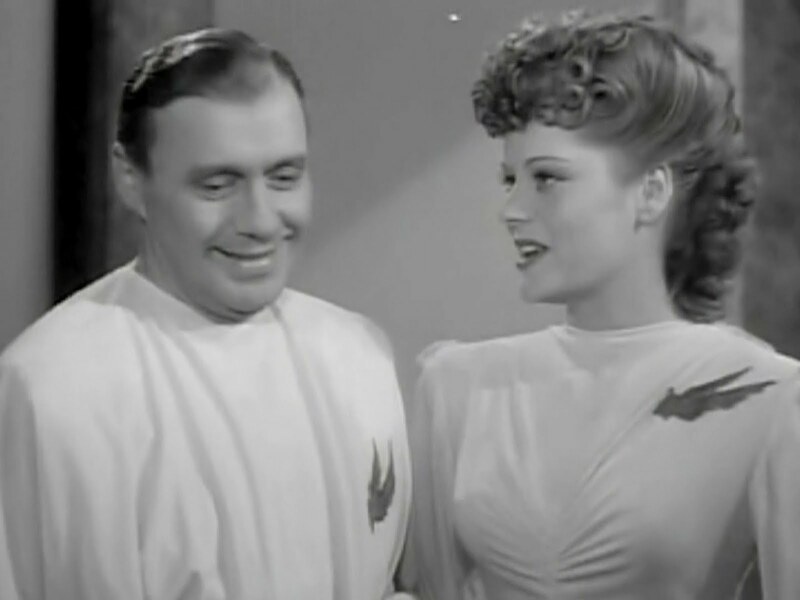 The role was designed as a comeback for the veteran actress, but Hopkins and Benny did not get along well, and Hopkins left the production. Lubitsch was left without a leading lady until Carole Lombard, hearing his predicament, asked to be considered. Lombard had never worked with the famous director and yearned to have an opportunity. Lubitsch agreed and Lombard was cast. The film also provided Lombard with an opportunity to work with friend Robert Stack, whom she had known since he was an awkward teenager. The film was shot at United Artists, which allowed Lombard to say that she had worked at every major studio in Hollywood. 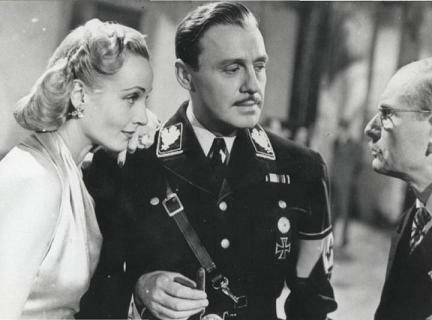 To Be or Not To Be, now regarded as one of the best films of Lubitsch's, Benny's and Lombard's careers, was initially not well-received by the public, many of whom could not understand the notion of making fun out of such a real threat as the Nazis. It was said that, during the premiere, Benny's own father walked out of the theater early in the film, disgusted that his son was in a Nazi uniform, and vowed not to set foot in the theater again. Benny convinced him otherwise and his father ended up loving the film. Benny's next film work was the charming George Washington Slept Here. It was based on the 1940 play of the same name by Moss Hart and George S. Kaufman, adapted by Everett Freeman, and was directed by William Keighley. The movie starred Benny and Ann Sheridan as Bill and Connie Fuller, New Yorkers who purchase a dilapidated farmhouse where, according to rumors, George Washington spent the night. In 1945, Jack would make a movie that would become forever associated with him, and it would become an endless joke for the rest of his life. The Horn Blows At Midnight also starred Alexis Smith and Guy Kibbee. The plot is interesting enough: Athanael (Jack Benny), the third trumpet player in the orchestra of a late night radio show sponsored by Paradise Coffee (motto: "It's Heavenly"), falls asleep listening to the announcer, who is doing his best to prove it is "the coffee that makes you sleep." Athanael dreams he is an angel (junior grade) and a trumpeter in the orchestra of Heaven. Due to the praise of his girlfriend Elizabeth (Alexis Smith), the assistant of the deputy chief of the department of small planet management (Guy Kibbee), he is given the mission of destroying planet 339001 (Earth) and its troublesome inhabitants by blowing the "Last Trumpet" at exactly midnight, signaling the end of the world. After making The Horn Blows At Midnight, Benny would never star in a movie again - although he was offered many roles. He enjoyed making cameo appearances in such movies as: Somebody Loves Me (1952), Beau James (1957), It's A Mad, Mad, Mad World (1963), and A Guide For The Married Man (1967). At the young age of 80, Benny was planning a return to movies in 1974 to star in "The Sunshine Boys". Benny was forced to withdraw when he was diagnosed with pancreatic cancer. Before he died Benny recommended his friend and fellow real-life vaudevillian veteran Burns, who had not been in a film since 1939, for the role. Burns' Academy Award-winning role revived his career and redefined his popular image as a remarkably active old comedy star. I absolutely love To Be or Not to Be! Have to say I'm not shocked that Hopkins and Benny didn't get along--did she get along with anyone! LOL! In the end, the right person played opposite Benny--Lombard. I know I wouldn't like this film as much if Hopkins had played the role. Nice review! Hi Lobosco - I just posted on "To Be or Not to Be" for Carole & Co.'s Lombard blogathon. Though it's my favorite of Lombard's films, it's also my favorite of Jack Benny's and it was a struggle not to give more attention to his performance. So glad you gave him his full due here!